At Austin Heights Dental Centre, we recognize that not everyone has dental insurance. We are proud to offer our patients flexible financing and payment options, so that you can get the treatment you need at a price suitable for you. 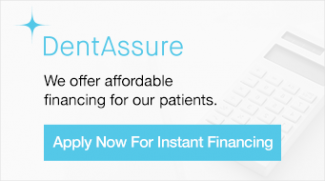 Austin Heights Dental Centre has partnered with DentAssure to offer our patients flexible payment plans, to help ensure your dental expenses are affordable.